It is a privately held company with headquarters in Lansing, Michigan, USA. Kansmacker is a privately held company that was founded in Lansing, Michigan in 1978 to support local businesses when the state introduced the bottle deposit law. Today, Kansmacker Reverse Vending Machines are operating in thousands of locations across North America and the Caribbean. Our machines feature a patented technology that delivers best-in-class container volume reduction, including difficult containers. Kansmacker is an end-to-end solution provider, which includes system design, manufacturing, customized installation, and ongoing support. Experiencing tremendous growth, in 2016 Kansmacker's international operations expanded to the Caribbean. Providing unique recycling solutions for locations without bottle deposit legislation. At Kansmacker, our family's mission is to provide innovative solutions allowing global citizens to contribute to a greener earth. Every day we work to provide our partners with the best solutions and service to continue making a positive environmental impact. It is our hope that through our business and community partnerships there will be no container left not recycled, not reused, or not repurposed. Local recycling company in conjunction with green heart strive to incentivize and increase participation of recycling though out the World. 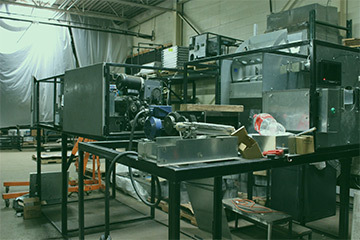 Process/trade & manufacture new products with raw materials. 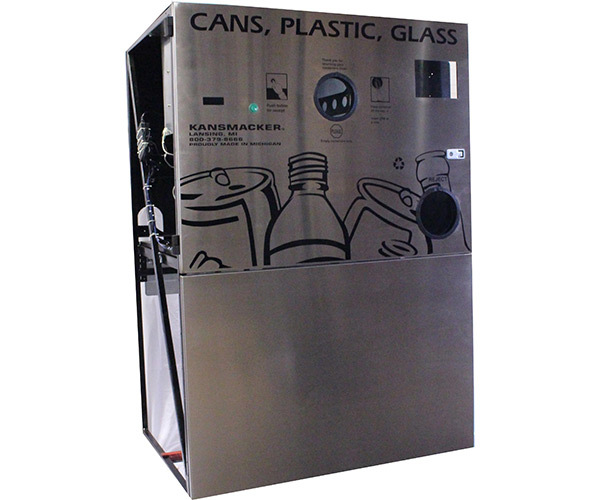 Reverse vending machines facilitate automated beverage container recycling. Kansmacker data reports include brand, manufacturer, country of origin, and recyclable or non-recyclable.